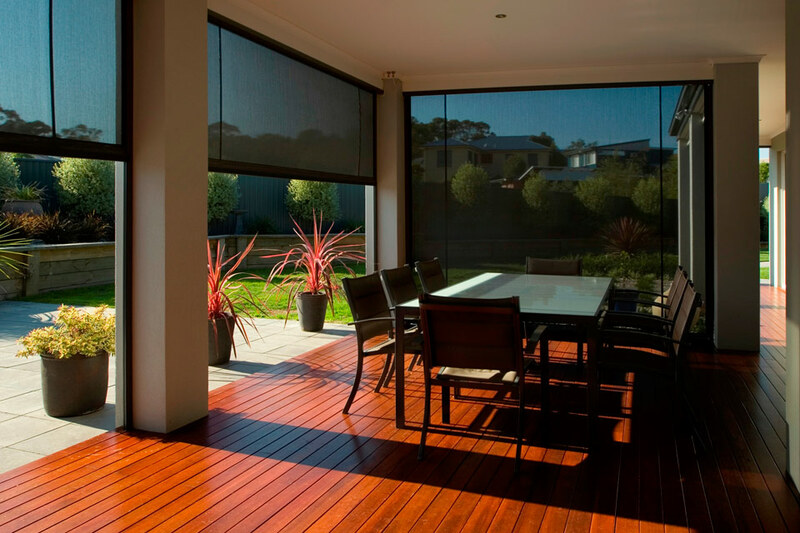 Woven mesh blinds have style and functionality that you just can’t beat. This revolutionary awning fabric lets light in yet keeps out the sun. Unlike conventional awnings woven mesh’s unique design allows you to see through from the inside and enjoy the view whilst filtering out the sun’s damaging rays and keeping the interior cool. Benefits: 90% blockout of the sun’s heat without filtering out the light.